Build winter-themed displays to promote berries during holiday season. In this cool harvest season, consumers are once again turning to the time-honored ritual of readying their homes and tables for the holidays. Home chefs are busy shopping for the ingredients they will need for making cozy. home-cooked dishes. Along with all the canned and boxed items, these customers are filling their carts with seasonal veggies and fruit items of every description –for pies, for dessert toppings, for drinks and cookies and garnishes and everything else. Amateur and professional cooks alike once at to make do with frozen strawberries when winter rolled around. Even on the rare occasions when fresh berries could be found in stores during the winter months, they were imports from who-knows-where and so the quality and taste was inconsistent. 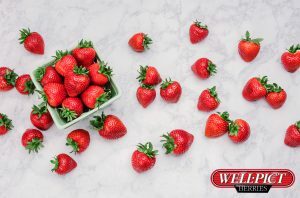 Thanks to our carefully developed varieties and strategic partnerships with independent growers, we’ve truly helped bring the concept of “strawberries every season” into the mainstream. Well•Pict Berries are developed using proven cross-pollination methods that give them “peak season flavor” literally every month of the year. But traditions and perceptions being what they are, sometimes consumers need a little push to remember that strawberries are now a year-round fruit, and not just as summer treat anymore. This means Well•Pict must remind retailers and shoppers both that truly great strawberries are available for the asking. 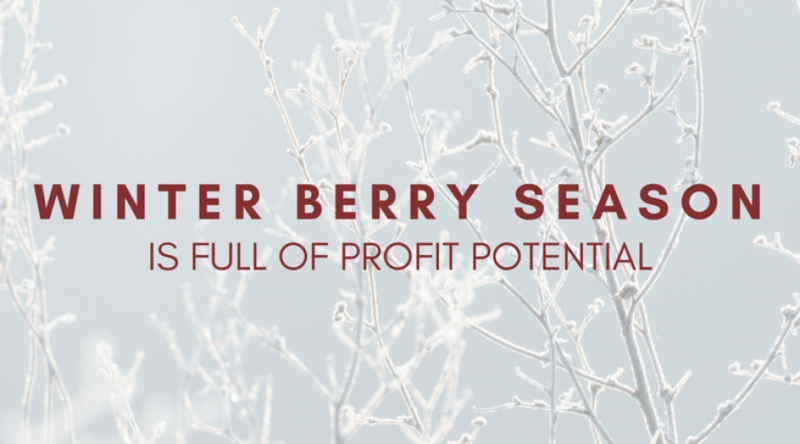 Christmas, New Year’s Eve, and Hanukkah celebrations are perfect for stimulating berry sales. 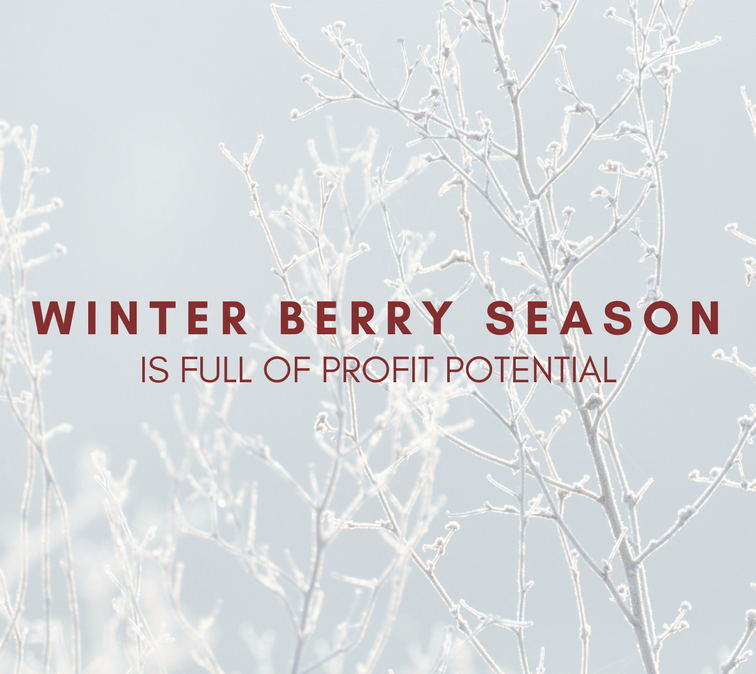 Produce retailers everywhere are poised to profit from winter berries – they just need a little imagination and planning in-store to see those cash registers ring red. –Display strawberries in primary locations, and stack them high. Big displays in high-traffic areas naturally draw shoppers, and sales decline up to 9% when strawberries are moved to back endcaps. -Utilize colorful display materials that put shoppers in the mood. Combine materials and props to create a fun, seasonal “destination” in the store. -Cross-merchandise with related items – whipped toppings, salad kits, chocolate, sparkling wine, spices, muffin mix, and more. Be creative. -Publicize promotions, contests, specials and recipes on your social media pages. -Put out samples. Once tasted, they’re sold! -Maintain displays through fall and winter. Make strawberries a healthy, weekly habit, not just a summer dessert idea. Keeping fresh berries up front – and top of mind- grows your entire bottom line. All stakeholders in the strawberry chain can benefit from marketing strawberries. Contact us today for free merchandising materials that will make your berry display sing. And stay tuned to this retail blog for more ideas to boost your sales.